Matrix OptiCare Shampoo is the perfect solution for all those who love to style their hair and done a new look every other day. This shampoo makes your hair smooth straight and soft because its washes off the harmful effects of chemicals from your hair, leaving it clean and healthy. Enriched with natural ingredients, it nourishes damaged hair and allows it to retain moisture, giving a healthy, glossy look to your hair. The shampoo cleanses the scalp thoroughly and maintains the moisture content of the hair, ensuring that there is no dryness leading to hair fall. Ends unruly split ends which are difficult to maintain. Softens texture and adds manageability to leave hair silky smooth. Gently cleanses and moisturizes smoothened or straightened hair. Softens texture, tames frizz, adds shine and manageability to leave hair silky smooth. 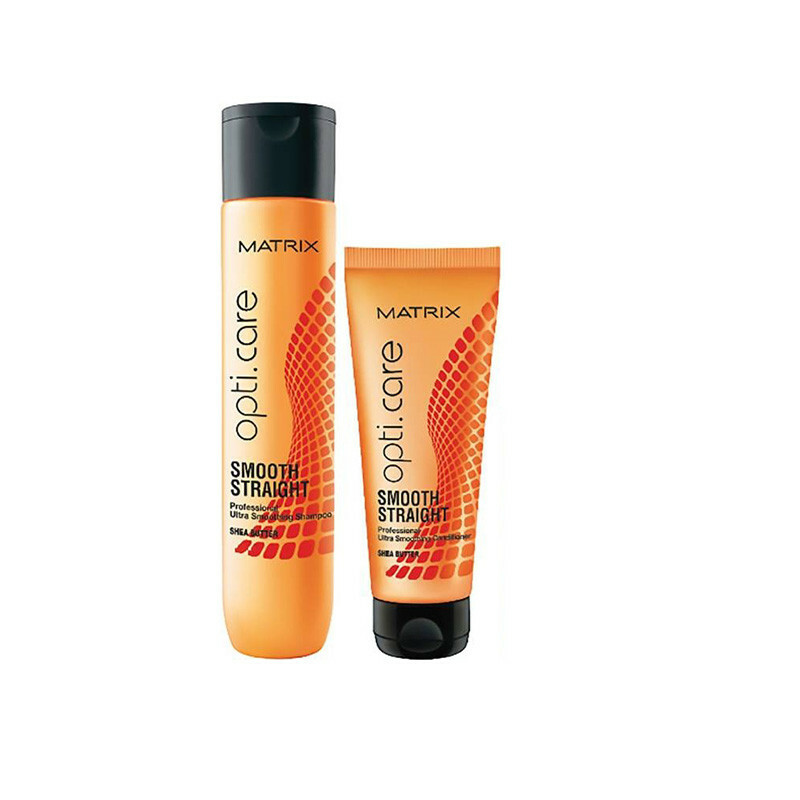 Matrix Opti Care Smooth Straight Smoothing Conditioner can be a great product for your hair. It is enriched with Shea Butter that protects hair and moisturizes making the more healthy, silky and shiny. This specialized conditioner is formulated specifically for chemically treated hair that is prone to breakage and damage. This conditioner will help smoothen and straighten your hair and it will smoothen and condition the hair without making it greasy at all. Prevents split ends and protects all kind of damages. Suitable for all types of hair. Detangles as it moisturizes chemically straightened or smoothened hair for intense smoothness and shine for frizz-free hair. Helps protect hair against damage and helps prevent split ends. After Professional Ultra Smoothing Shampoo apply to wet hair, massage and rinse. In case of contact with eyes, rinse them immediately. Very good product...give hair to a smooth texture..love to use this product. beneficial to dry hair..manage my hair so nicely after using it.